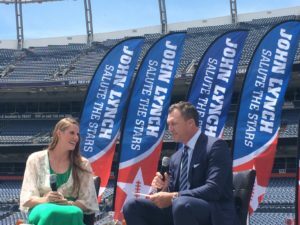 On Friday, May 12, The John Lynch Foundation held their 19th Annual Salute the Stars awards luncheon at Sports Authority Field. 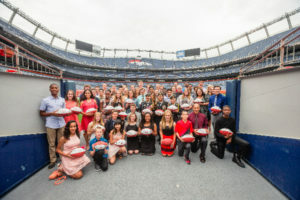 Sponsored by the Reiman Foundation in partnership with Big Brothers Big Sisters of Colorado, the event honors student-athletes and students with special needs from around Colorado who excel in academics, athletics and community involvement. 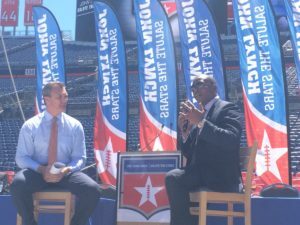 Broncos Head Coach Vance Joseph speaks at the 19th Annual Salute the Stars event on May 12 at Sports Authority Field. 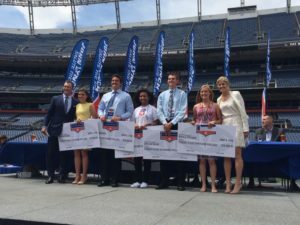 This year’s luncheon hosted over 1,000 students from Denver public schools and surrounding districts and awarded over $118,000 in scholarships. 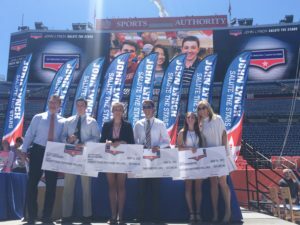 To date the John Lynch Foundation has awarded $1.1 million in scholarships to over 169 student-athletes to recognize their hard work as well as provide support and motivation to succeed in the next chapter of their lives. 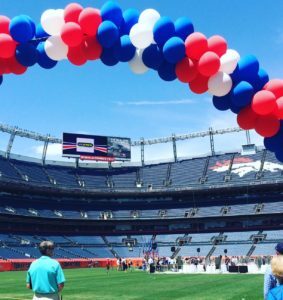 New Denver Broncos head coach Vance Joseph was this year’s featured speaker. He told students that success takes hard work. He said to always have high expectations and while success may be and look different for everyone, it’s important to never give up.